The JA80 is a power amplifier working in pure class A. 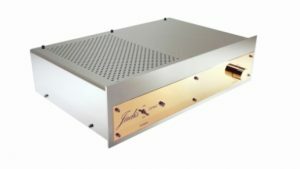 It is the first amplifier created by the JADIS in 1983; it has been upgraded several times but remains the flagship of the brand. It works in a “push-pull” configuration with triple load and autobias. It can work with various types of penthodes: KT120, KT90, KT88, 6550, 6CA7 or EL34. The MkII version brings the compatibility with the KT150 pentodes. 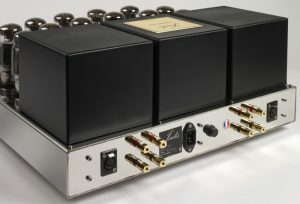 The function phase shifter is insured by a triode double ECC82 and the function driver by an ECC83. 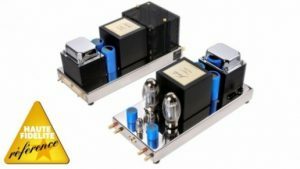 The output transformer, guaranteed for life, allows an adaptation of impedance from 1 to 16 ohms. The cathode circuit is protected by an individual fuse. The power transformer is oversized for a better dissipation of heat and vibrations. The filtering of the high voltages is assured by high capacity capacitors. Heating the tubes is by alternate current with balance and noise reduction. Output terminals allow a bi-wiring. Gold connections assure a faithful broadcast of the signals. The device is assembled with conventional cabling “point by point” and uses a silver / copper tin solder. The frame, in 316L non-magnetic stainless steel, does not influence the electronics and renders the device unsensitive to external disturbances. When switching from KT150 to another type of power tube such as : EL34, 6CA7, KT88, KT90, KT120 & 6550 a small modification has to be made inside the unit. 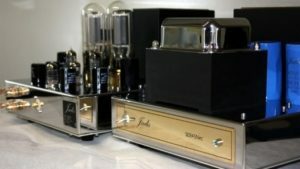 Jadis JA80’s performance from the upper bass to the mid treble can be described as eminently musical. It has a real beauty of tonal rendering coupled with fine inner dynamics, achieved without any exaggeration of drive or presentation. 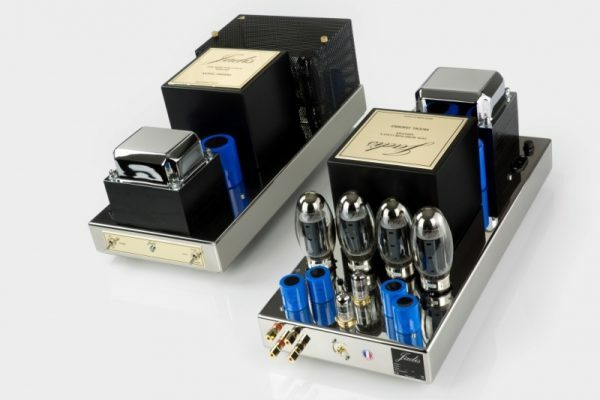 The midrange was liquid, exceptionally relaxed, yet reproduced with first-rate transient and harmonic definition.